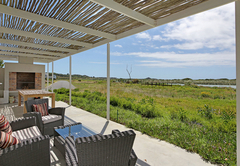 Buhle is a property providing self catering in Kommetjie for up to 4 guests visiting the Atlantic Seaboard region. 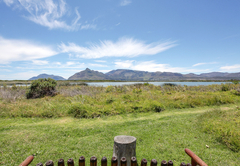 Directly located on a vlei in Kommetjie, Buhle is a lovely holiday home offering self-catering accommodation for up to six guests. 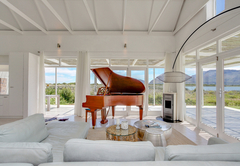 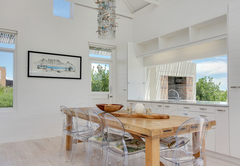 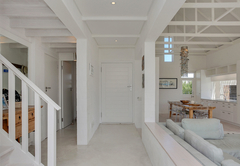 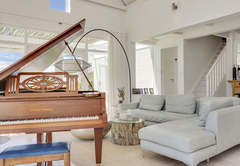 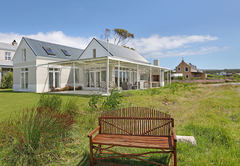 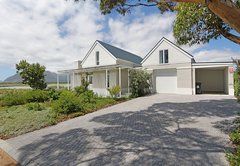 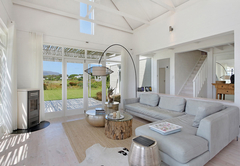 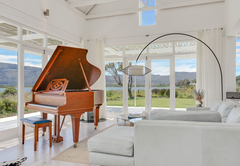 The house is just minutes away from Long Beach and Noordhoek Beach. 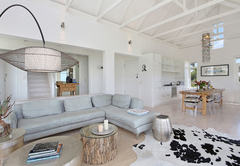 We call the house ‘buhle’ which means ‘beautiful house ‘in Xhosa - and it really is unique. 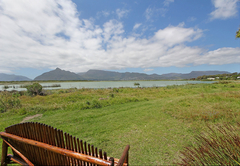 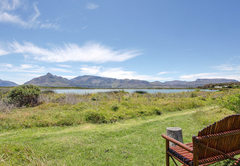 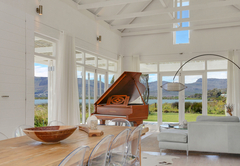 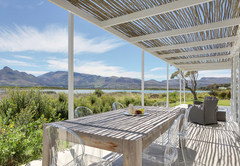 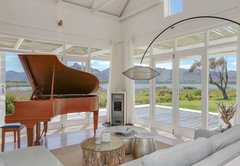 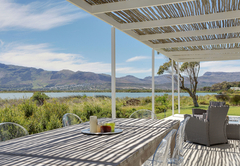 There are splendid views of the surrounding mountains and vlei. 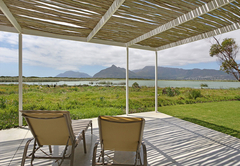 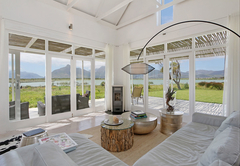 Birdlife, like herons, fish eagle and many other birds can be viewed directly from the comfort of your lounge. 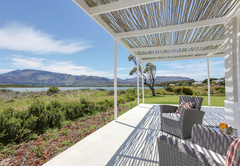 Enjoy the walk along Long Beach while watching the surfers or go for an extended stroll along the magnificent Noordhoek Beach only 10 minutes away. 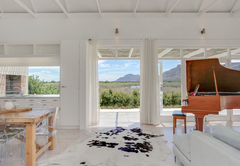 Situated within a security estate, Buhle Holiday Home has two bedrooms and a TV room which can double up as a third bedroom. 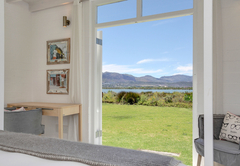 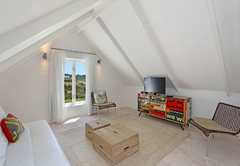 The main bedroom is furnished with a King-size bed and has direct access to the garden. 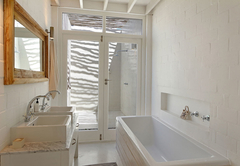 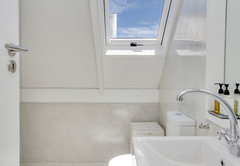 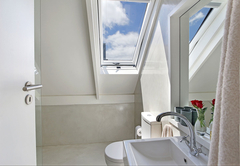 This room has both an en-suite bathroom and an outdoor shower. 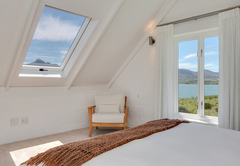 The second bedroom is also furnished with a King-size bed and makes use of a separate bathroom with a shower. 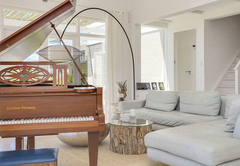 The TV room is furnished with a double sofa bed. 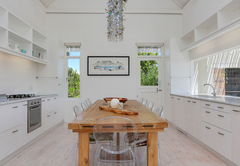 There is an open plan double-space kitchen, dining room and lounge. 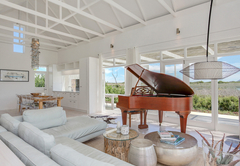 The lounge and dining room open up on to terrace with braai facilities and there is a fully equipped kitchen. 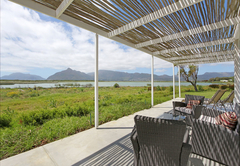 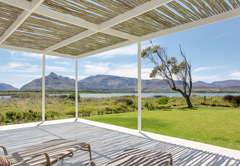 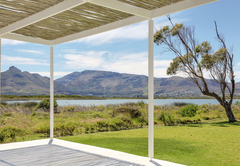 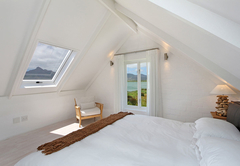 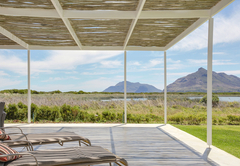 The terrace has wonderful views of Chapmans Peak. 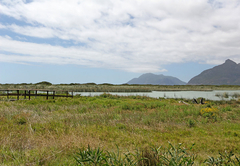 A fantastic 2 bedroom home directly located on a vlei at Imhoff's Gift in Kommetjie, only minutes away from Long Beach and Noordhoek Beach. 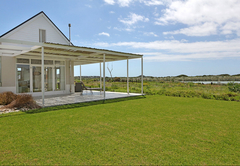 We call the house Buhle which means beautiful house in Xhosa - and it is truly unique. 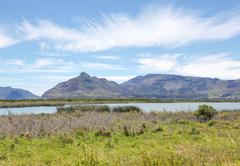 Response timeBuhle typically responds to requests in 5-10 minutes.